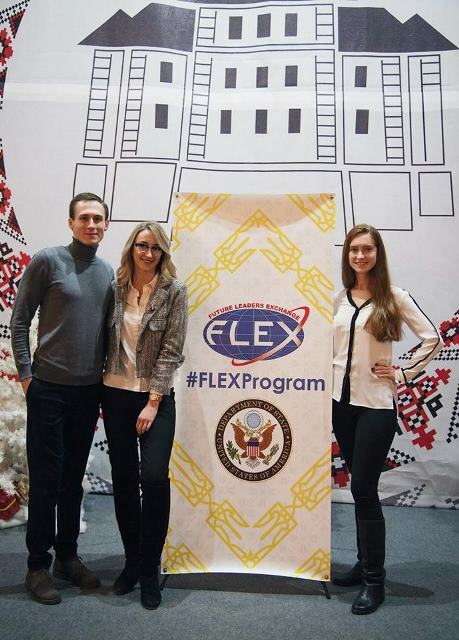 FLEX Alumni Anna-Mariya Skakodub ’14 (Lviv, Ukraine/ Leola, SD) and Yaryna Faryna ‘13 (Lviv, Ukraine/ St. Cloud, FL) together with the NGO Solidarna Molod successfully organized and completed a two-phase project on the topic of democracy and educated citizenry in Ternopil through funding from an Eastern Europe FLEX Ability Workshop Follow-On grant 2017. Alongside the student training, specialized experts from the Center of Innovative Education, Olga Iskovych and Kateryna Nikishova, and a representative of the NGO ‘Gurtom’, Igor Kovalyk, delivered a set of seminars to 25 school teachers of the three Ternopil high schools on general democratic concepts, explaining modern democratic approaches to the educational process in schools. Organizers, realizing that teachers can be drivers of democratic transformation saw the value of offering both teachers and students this skills training. 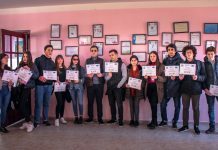 For the second phase of the project, the alumni leaders organized an educational forum on democratic education for 300 high school students. 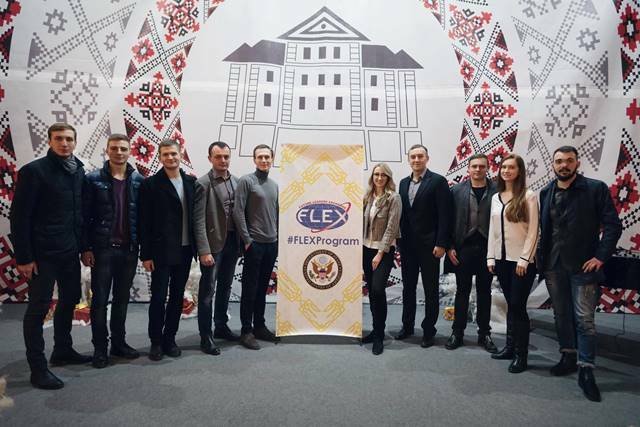 The forum featured presentations by Artur Karpuk, owner of ZAZA Print, Pavlo Bych, deputy of the Ternopil City Council, and Rostyslav Nebelskyi, an attorney. The presenters spoke about the economy, politics, and law, respectively. Each speaker demonstrated to the audience how their area of expertise could lead countries to stronger democracies and a strengthening of human rights. This second phase equipped youth with practical understanding and knowledge on how to develop democracy in different spheres of society. 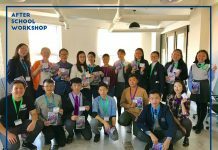 As a part of the forum, the participants also learned more about the aforementioned areas as possible options for future careers. “Young people undoubtedly have the immense potential to bring valuable change in their community and country as a whole, therefore it is important to equip young people with the knowledge and understanding of democratic values. 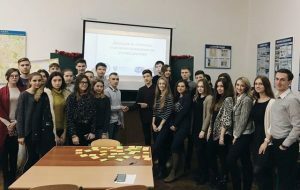 Moreover, such a change requires a sense of courage to convince one’s peers that democratic education should serve as the foundation for Ukrainian people’s transformation into world citizens with respect for human rights and tolerance”, stated the alumni organizers.